2 What is an adverb clause? 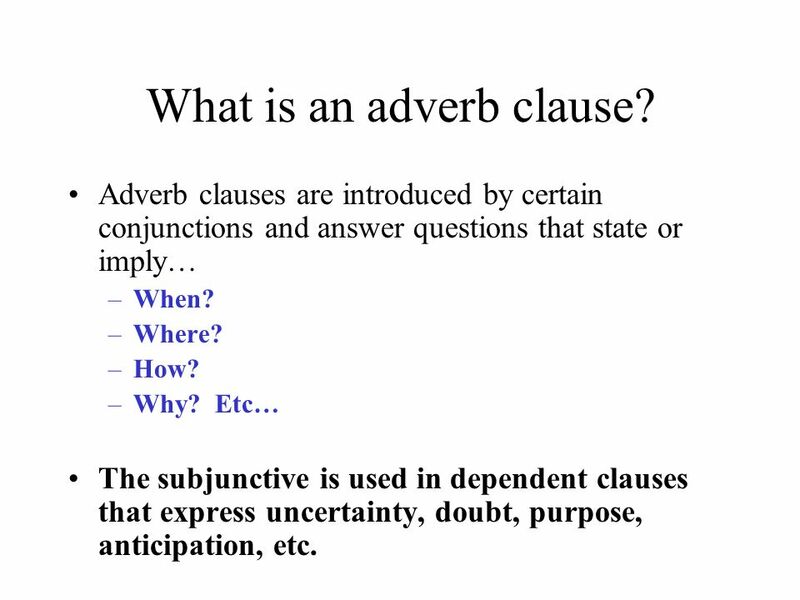 Adverb clauses are introduced by certain conjunctions and answer questions that state or imply… When? Where? How? Why? Etc… The subjunctive is used in dependent clauses that express uncertainty, doubt, purpose, anticipation, etc. 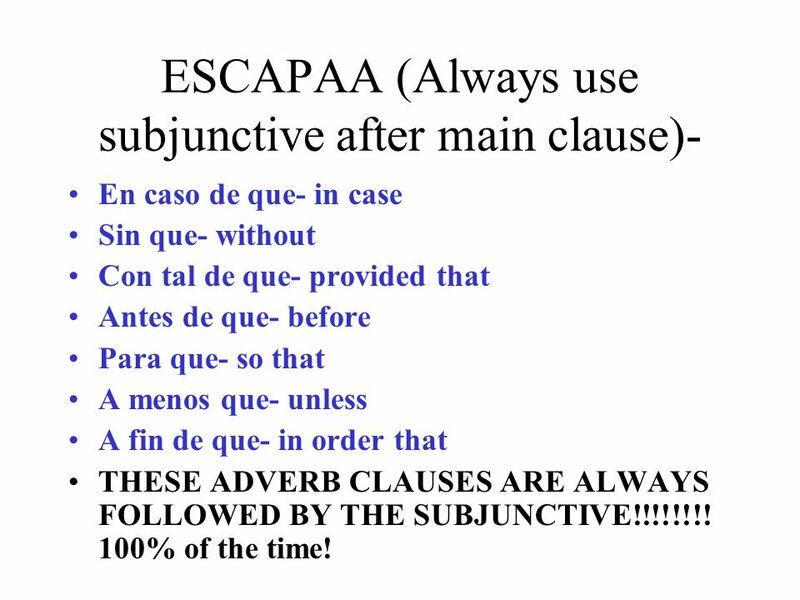 En caso de que- in case Sin que- without Con tal de que- provided that Antes de que- before Para que- so that A menos que- unless A fin de que- in order that THESE ADVERB CLAUSES ARE ALWAYS FOLLOWED BY THE SUBJUNCTIVE!!!!!!!! 100% of the time! 4 Ejemplos Voy a terminar el trabajo antes de que ellos vuelvan. I am going to finish the work before they return (whenever that may be). Leo los artículos despacio para que pueda entenderlos mejor. I am reading the articles slowly so that I am able to understand them better. (I may or may not understand them!) Notice that it is okay to have the same subject in both clauses with adverbial clauses! 5 Más ejemplos Voy a traer un paraguas en caso de que llueva. I am going to bring an umbrella in case that it rains. 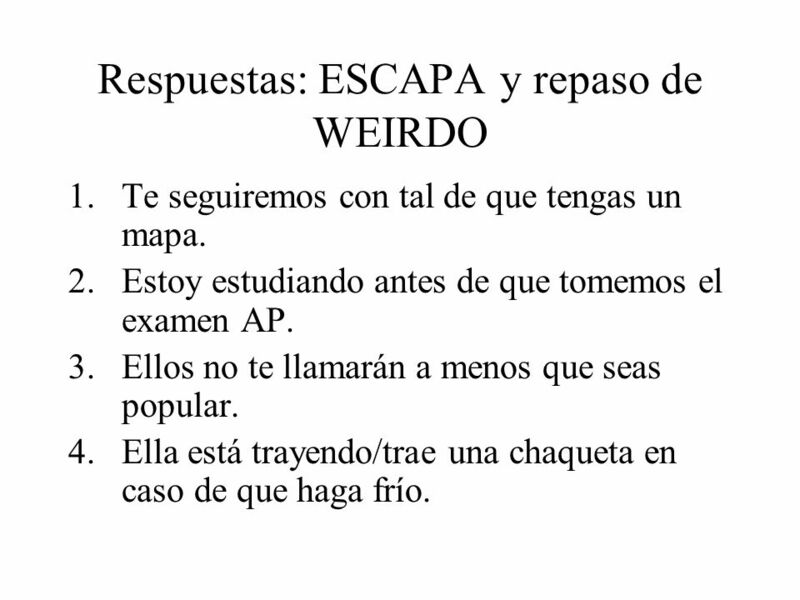 ¡Hazme la tarea a menos que seas tonto! 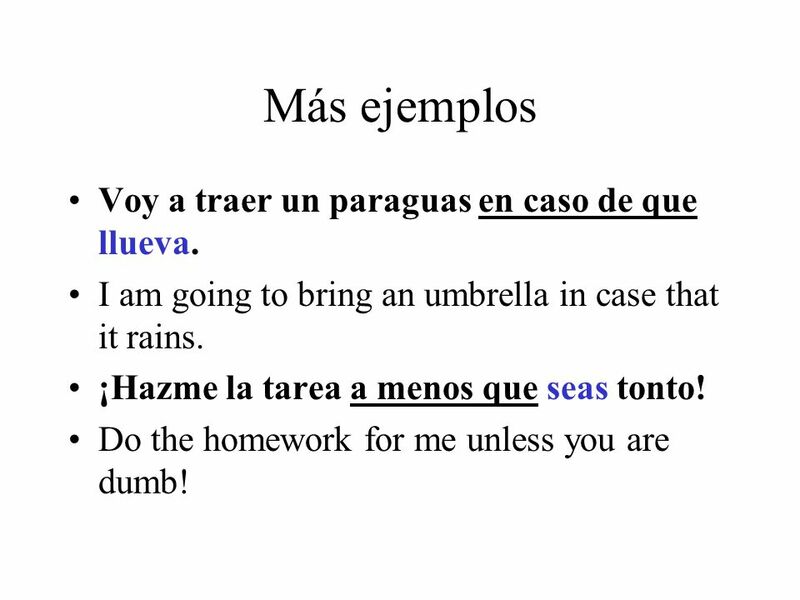 Do the homework for me unless you are dumb! 6 PLEASE NOTICE! 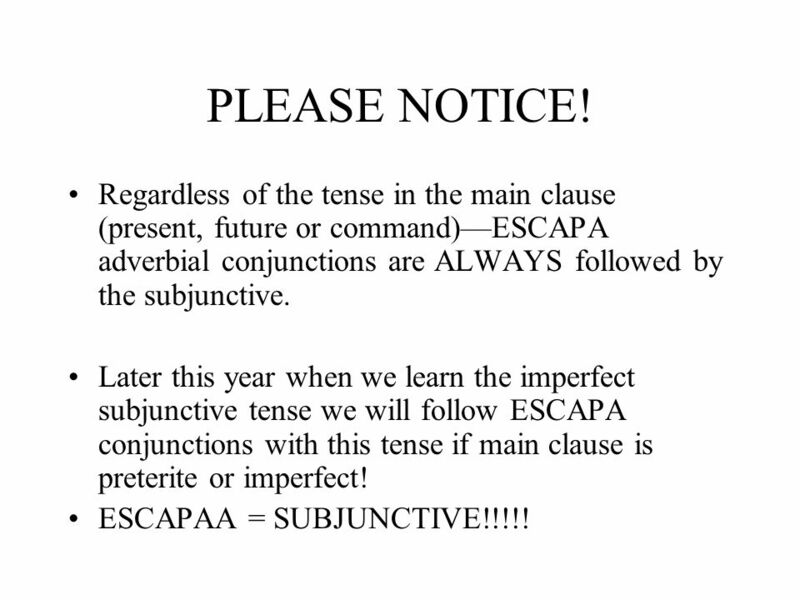 Regardless of the tense in the main clause (present, future or command)—ESCAPA adverbial conjunctions are ALWAYS followed by the subjunctive. 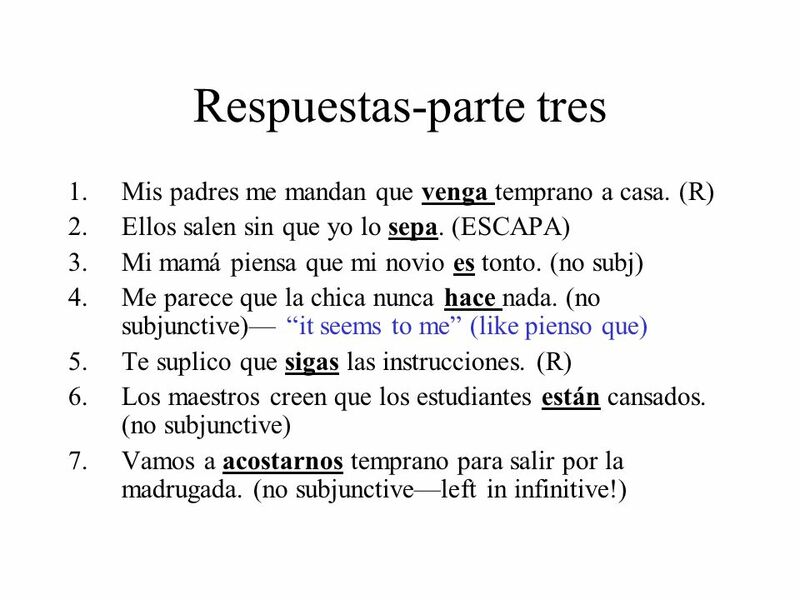 Later this year when we learn the imperfect subjunctive tense we will follow ESCAPA conjunctions with this tense if main clause is preterite or imperfect! 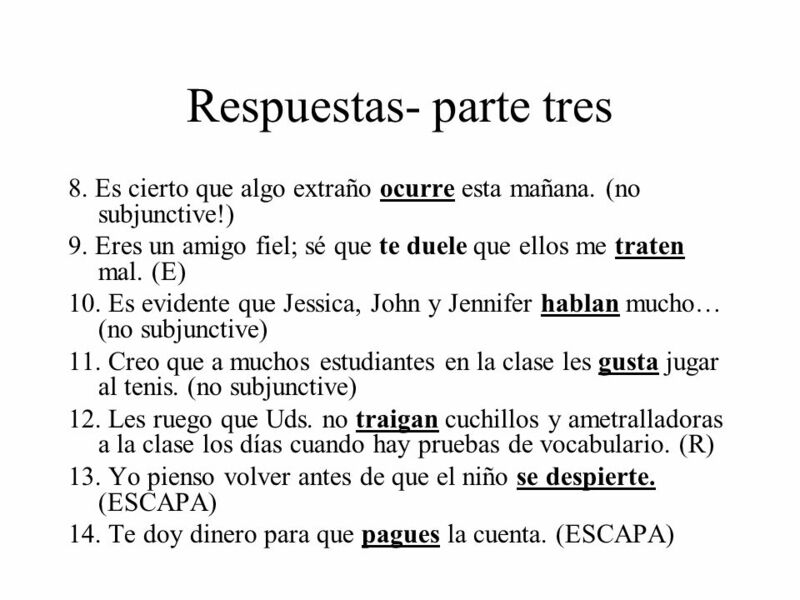 ESCAPAA = SUBJUNCTIVE!!!!! 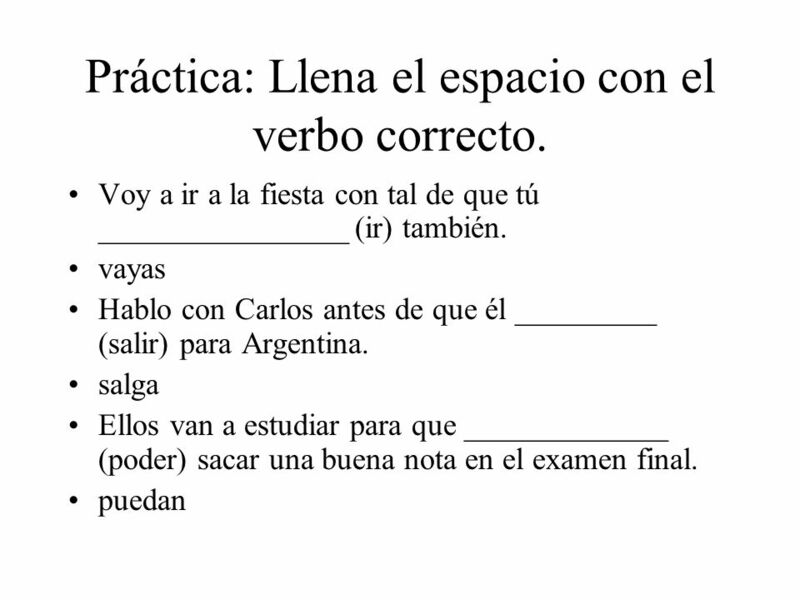 7 Práctica: Llena el espacio con el verbo correcto. Te seguiremos con tal de que tengas un mapa. 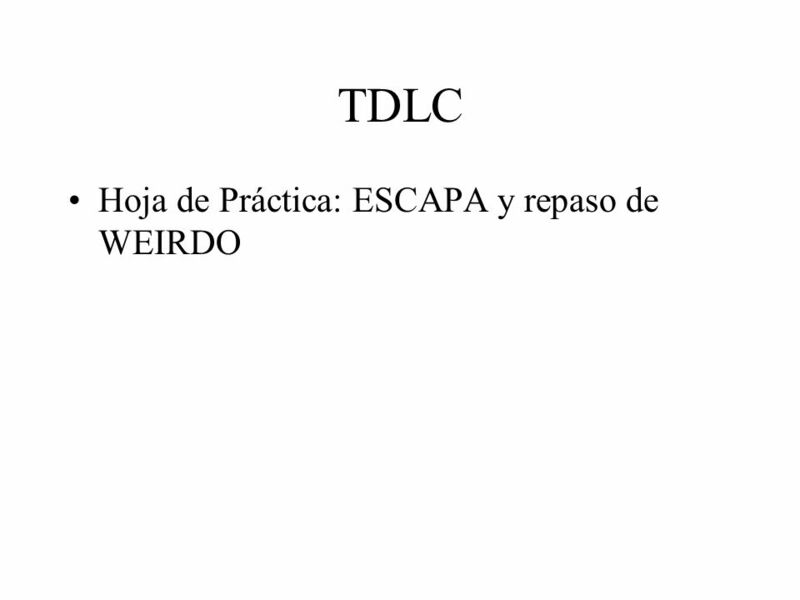 Estoy estudiando antes de que tomemos el examen AP. Ellos no te llamarán a menos que seas popular. Ella está trayendo/trae una chaqueta en caso de que haga frío. 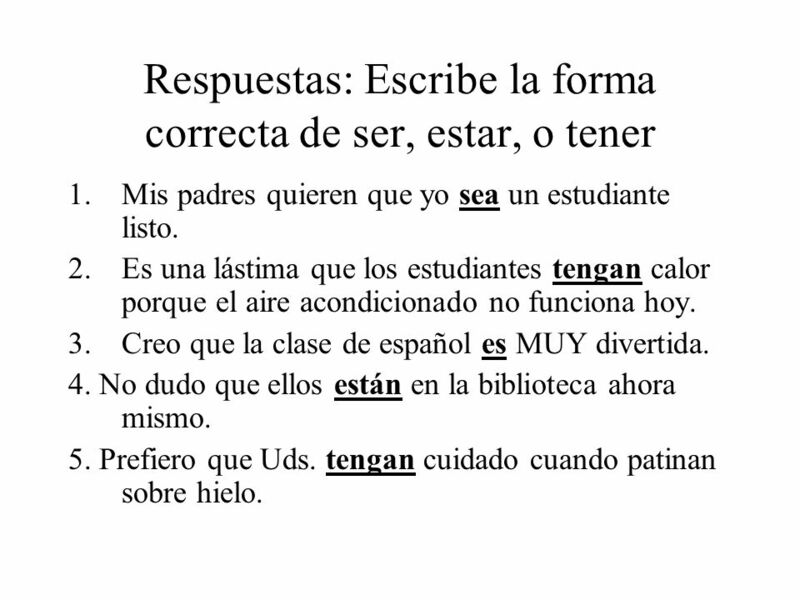 Mis padres quieren que yo sea un estudiante listo. Es una lástima que los estudiantes tengan calor porque el aire acondicionado no funciona hoy. Creo que la clase de español es MUY divertida. 4. No dudo que ellos están en la biblioteca ahora mismo. 5. Prefiero que Uds. tengan cuidado cuando patinan sobre hielo. 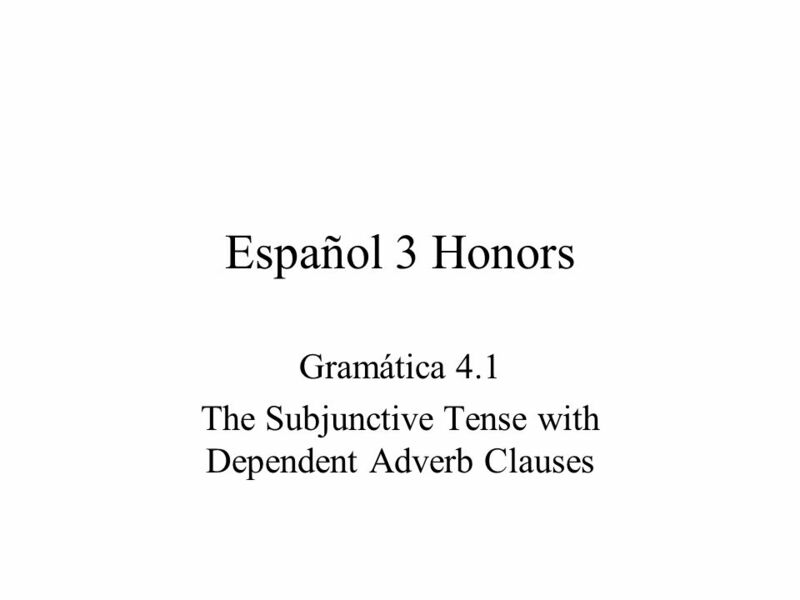 Descargar ppt "Gramática 4.1 The Subjunctive Tense with Dependent Adverb Clauses"
* All of the subjunctive sentences in noun clauses, like in the lesson this week, require a change of subject. Yo dudo que ella trabaje. (I doubt that. TENER +QUE+INFINITIVE. 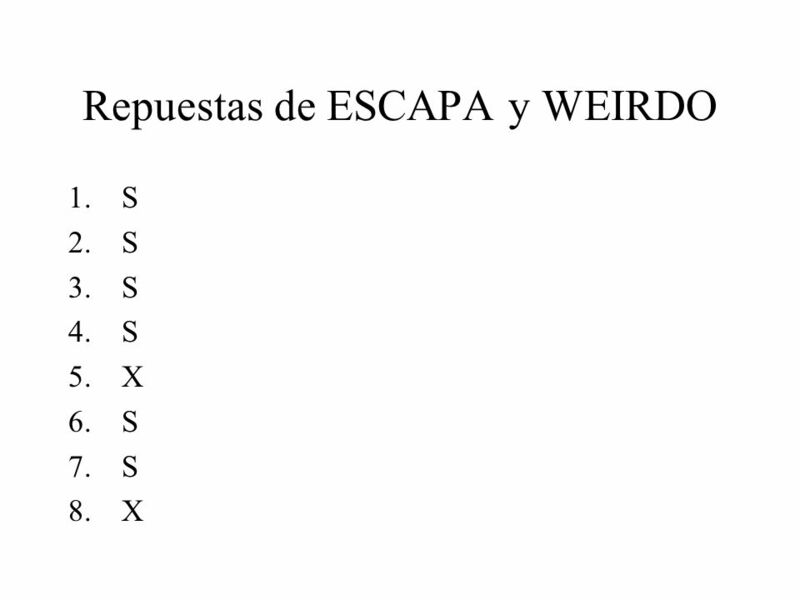 chart for tener SINGULARPLURAL 1 ST PERSONTENGOTENEMOS 2 ND PERSONTIENESXXX 3 RD PERSONTIENETIENEN. 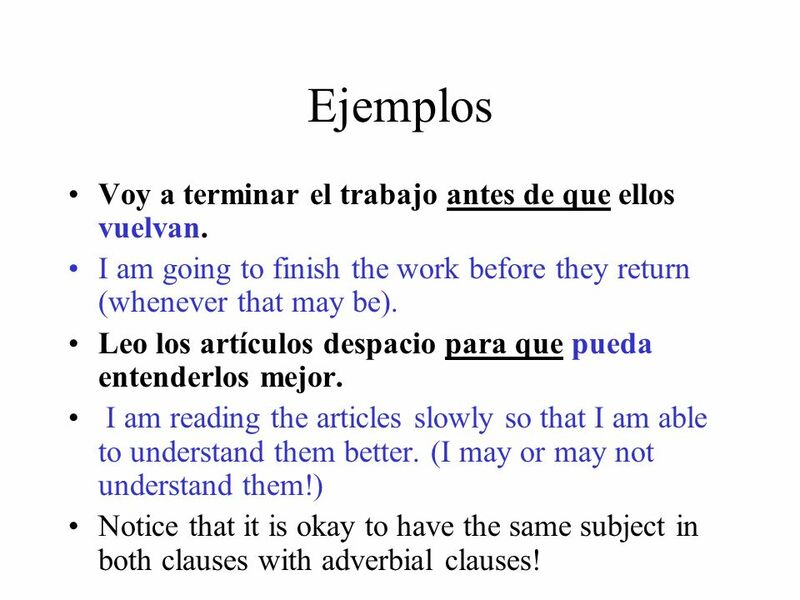 1 Adverb Clauses (Las Cláusulas Adverbiales) clauses.html. Subjunctivo – Cláusulas Adverbiales Para la lección de hoy, necesitamos repasar cómo formar el imperfecto del subjuntivo (los ra-ras) Hablar  tú ______.